Oklahoma Baptists may have recently read about a group attempting to petition OBU to “give back Title IX” and may be wondering what are the specific concerns. I hope this will clarify the issue and serve to explain why OBU has taken this action. OBU is a caring, Christian education community that expects all employees and students to display the love of Christ and treat one another, as image bearers of God, with dignity and respect. Most emphatically, OBU does not tolerate harassment or bullying of any kind. Title IX is a law passed in 1972 that gave equal opportunity and access for women in higher education, though it is perhaps most noted for advancing more equitable access for women in varsity sports. The law applies to any institution that either directly or even indirectly receives federal funds. Though OBU does not receive any other kind of federal grants or money, OBU students may apply for and receive federal student aid to help pay for their college expenses as is the case with most other private universities. Title IX includes protections for religious institutions with stated missions, values, core convictions, and doctrinal tenets that conflict with the law’s requirements. Title IX exemptions were granted to those institutions that filed after it was implemented. OBU has operated in accordance with Title IX since its passage in 1972. At the time the law was passed, none of the Title IX requirements were in conflict with OBU beliefs and practices. However, in April 2013, the U.S. Department of Education under the current Administration issued new interpretations of the law as it relates to gender identity and sexual orientation. To continue operating within the law as a Southern Baptist higher education institution and in accordance with its long-standing mission, values, religious convictions, and practices, OBU was required to claim the Title IX religious exemption. This exemption allows OBU to continue the university’s century-long policy of hiring only evangelical Christians and requiring students to follow a code of conduct consistent with the religious practices and beliefs adopted by the Southern Baptist churches of the Baptist General Convention of Oklahoma. It’s worth noting that in claiming this Title IX exemption, no changes in the operations, policies, or management of OBU concerning student codes of conduct or employment practices has changed. Nothing concerning these practices is new. While OBU does not require all students who enroll to identify as Baptist or Christian (many of these students indeed place their faith in Jesus each year), the university intentionally informs prospective and current students of OBU’s mission, core convictions, and religious beliefs. And students are expected to live in accordance with the Christian community standards we have adopted as a university. While some desire the OBU administration acquiesce to the new guidelines, so doing would fundamentally change the institution and put it in direct conflict with its mission, values, and governing documents as a distinctively Christian and unashamedly Baptist university. These governing documents, which include the Baptist Faith and Message as adopted by the Baptist General Convention of Oklahoma, clearly identify our understanding of biblical marriage and sexuality among other convictional beliefs. Furthermore, such a change is impossible under the university’s charter and bylaws. Founded by the Southern Baptist churches of Oklahoma in 1910 through the Baptist General Convention of Oklahoma, OBU is owned and governed by the 1,800 Southern Baptist churches in the state. No changes to the OBU charter, religious tenets, doctrinal beliefs and practices can be made without adoption by the 1,800 Southern Baptist churches of Oklahoma. On behalf of the campus community, please know that we remain firmly committed to the OBU mission: As a Christian liberal arts university, OBU transforms lives by equipping students to pursue academic excellence, integrate faith with all areas of knowledge, engage a diverse world, and live worthy of the high calling of God in Christ. Please pray for OBU. Pray for our employees and our students. Pray for those who do not agree with us or our Christian convictions. May God find us faithful in the task He has assigned us. May He find us convictional and winsome, demonstrating faithfulness to His Word and showing patience and kindness to those to whom we are sent to serve and share the Gospel. Whitlock serves as President of Oklahoma Baptist University. View more articles by David Whitlock. 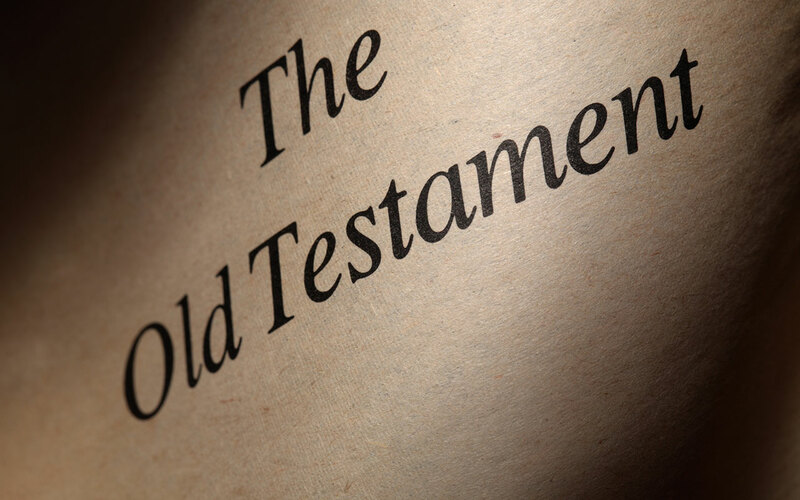 Q&A: How did we get the Old Testament?